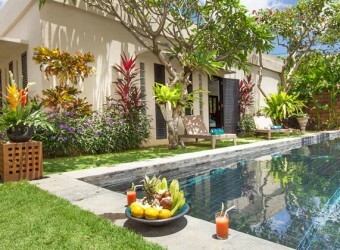 Bali Hotel Villa Rumah located Oberoi street in Seminyak where gathering stylish fashion shop and cafe . You can see Villa Rumah behind street from Oberoi street, it is calm and quite location. The villa concept is "Home" so as villa name you can stay like home. Enjyo their beautiful swimming pool and tropical garden.